A legally sound and well planned last will and testament is often a keystone of any definitive estate plan, where you make clear your wishes regarding the disposition of your assets when you die. If you believe it’s time to create a will, here’s what you should know about why getting legal help can be beneficial. It’s not just about a will. When it’s time to create a will, what you’re probably really looking for is an estate plan—not just a last will and testament. A comprehensive estate plan doesn’t have to be particularly complex, but it should be thorough, and an estate planning attorney will be able to help you decide what’s most appropriate for the needs of you and your family. You (and your heirs) can’t afford mistakes. When you’re creating an estate plan, the one thing you can’t afford is a mistake that renders your last wishes legally inadmissible. 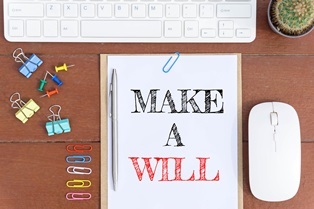 It’s important that your will is written correctly, so that when it’s time to execute your estate plan, your final wishes are carried out appropriately. An attorney will ensure that your will is created the right way. It saves you from the stress of doing it yourself. When you hire an estate planning attorney, he will do the necessary work to make your estate plan accurate and legal. Your attorney will know what paperwork needs to be drafted, what forms you need to sign, the right legal language to use, and all of the other details both large and small that go into making an airtight estate plan. You’ll be free to think more about the actual content of your plan rather than focus on the legal particulars, saving you time and relieving you from the stress of doing it all on your own. Your plan will be customized to your needs. When you use a website or cheap software package to draft a will, what you’re typically paying for is a generic template form, designed as a “one-size-fits-all” document that only covers the most basic estate issues. When you hire an actual attorney to discuss your wishes, what you get is personalized experience. Your attorney will listen carefully to what you want, any concerns you may have, and provide the answers to your legal questions. Then, you’ll work together to create an estate plan that fully encompasses the specific needs that you and your family have regarding the future. Your family will have a lawyer to trust. When you choose an attorney to help you plan your estate, you can establish and maintain a professional relationship that lasts a lifetime—and beyond. After you’ve passed away, your attorney will be there as someone that you knew and trusted to handle your legal affairs—something your family can take advantage of, if they so choose. Although hiring an attorney is usually a little more expensive than a cheap online form, the peace of mind that a professional opinion can provide is worth paying for. You have many choices when it comes to picking an attorney to help you with your estate plan, but at the Law Offices of Molly B. Kenny, we have decades of experience in estate planning and family law that we’d like to offer to you and your family. To arrange a private consultation to talk about your will or other estate planning issues, call us, or use the contact form to send an email today.